Dr. Thomas J. Han received his DDS degree in 1982, Certified in Periodontics in 1984, and MS degree in Oral Biology in 1985 from the UCLA School of Dentistry. He is a Diplomate of the American Board of Periodontology, the American Board of Oral Implantology/Implant Dentistry, and the International Congress of Oral Implantology. As a Clinical Professor of the Ostrow School of Dentistry at USC, Department of Periodontics, his responsibility is post-doctoral resident periodontal and implant surgical training. Dr. Thomas J. Han's expertise is in minimally invasive approaches to dental implant and periodontal esthetic surgeries. Periodontally hopeless maxillary laterals are extracted and immediate implants placed with simultaneous bone and soft tissue grafting. Esthetically Predictable Minimally Invasive Approach (refer to Clinical Technique Section in navigation bar for Power Point presentation). 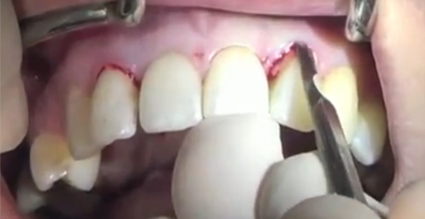 Read the published related article of this technique “Crescent Shaped Free Connective Tissue” in the Journal of Implant and Advanced clinical Dentistry(JIACD – www.jiacd.com), and “Immediate Implant Placement” in the Prac. Perio. Aesthetic. Dent. journal. You can find these papers in the “Article” section of this web site. Dr. Thomas Han is a specialist in periodontics and implantology. Dr. Han's expertise is in minimally invasive approaches to dental implant and periodontal esthetic surgeries. Dr. Han is a Dentist in Koreatown.